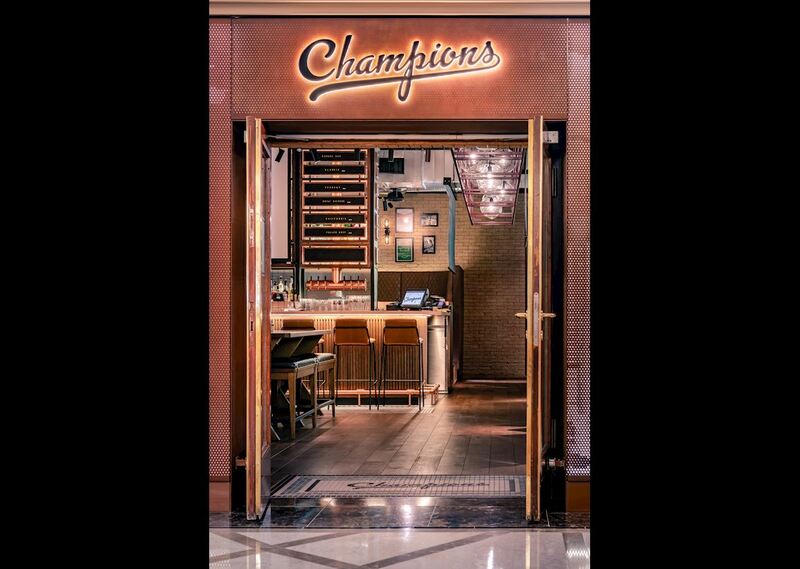 Champions is your ultimate destination when it comes to cocktails and sports. 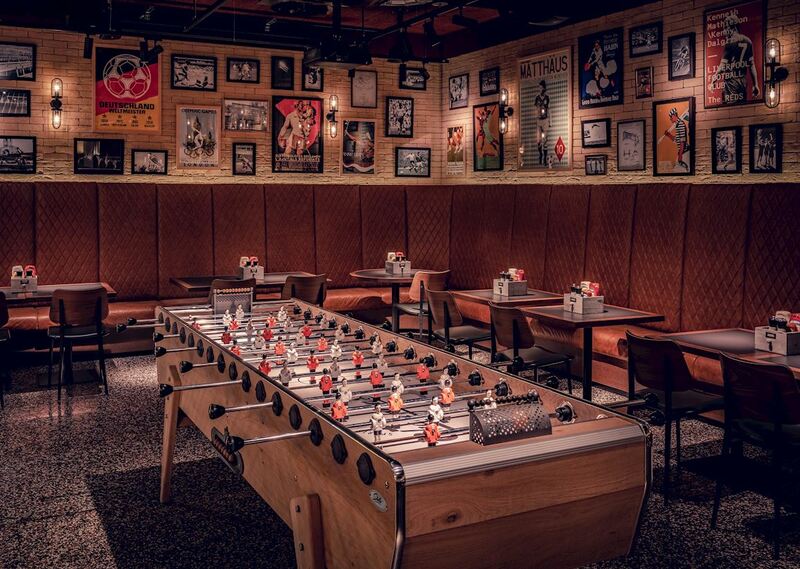 Enjoy drinks, feast on an all American menu and watch the BIG games on a BIG setup. We are a Sport Bar, but done right. Fizzy, Sour, Fruity, Creamy? Just tell us which mood are you and let us surprise you! ... That is the theme of the Frankfurt Champions, the ideal place to set your mind free from work and to have exclusive drinks served by our friendly staff. 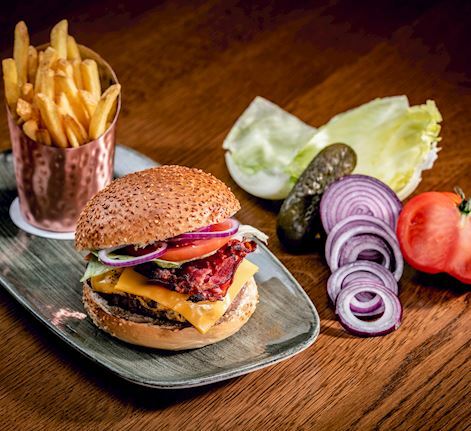 It doesn't matter where you're seated - one thing is guaranteed, your mouth will never feel dehydrated here! One visit and you'll agree: Champions is Simplicity with Attitude! "There is no better feeling than the thirst just before you enter the bar." If you are on the A5 coming from Kassel or the A648 from Wiesbaden, follow the "Frankfurter Kreuz" or City Ring and exit in the direction of the Messe. The Messe Tower is only 100 meters away from the entrance of the Frankfurt Marriott, the glorious home of the Frankfurt Champions. TRAM: Directly in front of our hotel is a tram stop (Ludwig-Erhard-Anlage, Lines 16 and 17). UNDERGROUND: It's roughly a five-minute walk from the subway stop to our hotel (Festhalle/Messe, line U4). We have a third party managed parking garage next to our hotel of 3,70 EUR per hour. Free parking is located around the Marriott hotel. On busy nights these might be taken!